Hey guys! 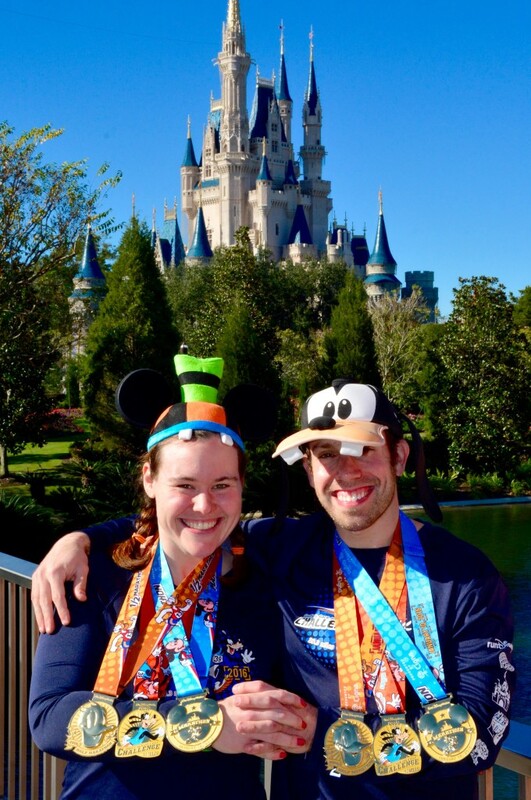 Soooo, of course my recap of this weekend’s Goofy Challenge isn’t quite ready (add it to the list of race recaps I’m behind on, haha), BUT…I did want to drop in and announce that we DID complete the 39.3 mile challenge! 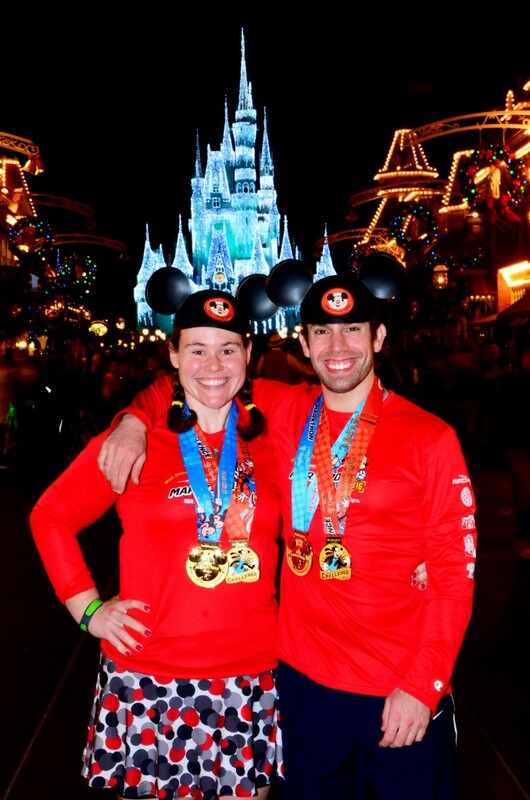 Todd conquered his first Goofy Challenge, and I added another glorious Mickey marathon medal to my collection. 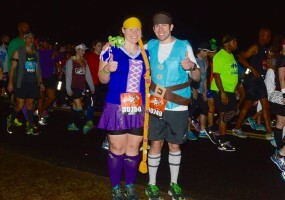 Though it was WAAAYYYYYYY too humid for me for both races, we had an amazing time running Disney. And — no surprises here — I still think the Walt Disney World Marathon is the best marathon in the whole wide world. 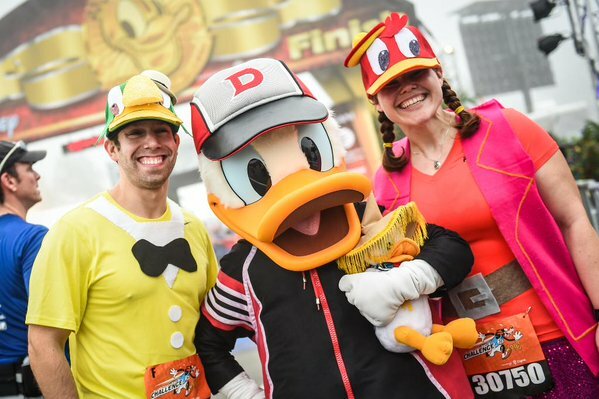 The half marathon was awesome because we had a blast running as some of our favorite ducks. 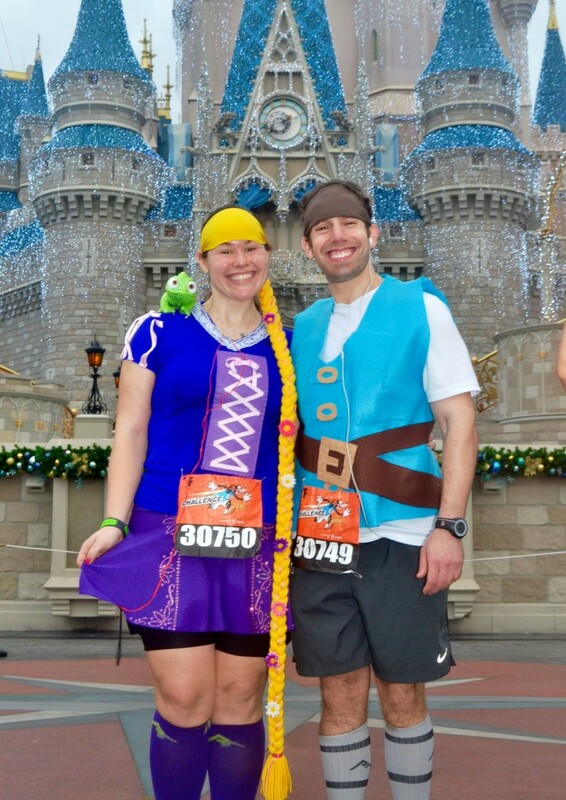 We got LOTS of attention from cast members (I think a lot of fellow runners/other spectators had no idea who were were, lol) and also the runDisney marketing folks; they took some awesome pictures of us in front of the castle and at the finish line and already used it on social media. So, basically, I’m famous. Oh, and we also managed to find our third caballero, live and in the feathers (haaaaaaa), after the race. The marathon was a bit tough for Todd. He definitely isn’t used to running back-to-back races, and he struggled in the second half of the marathon. 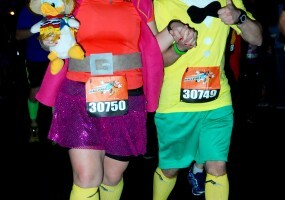 But I think he got a really good look at why I love the Walt Disney World Marathon so much. Even though my feet hurt, I was tired, etc…it’s kind of like I just don’t feel it. 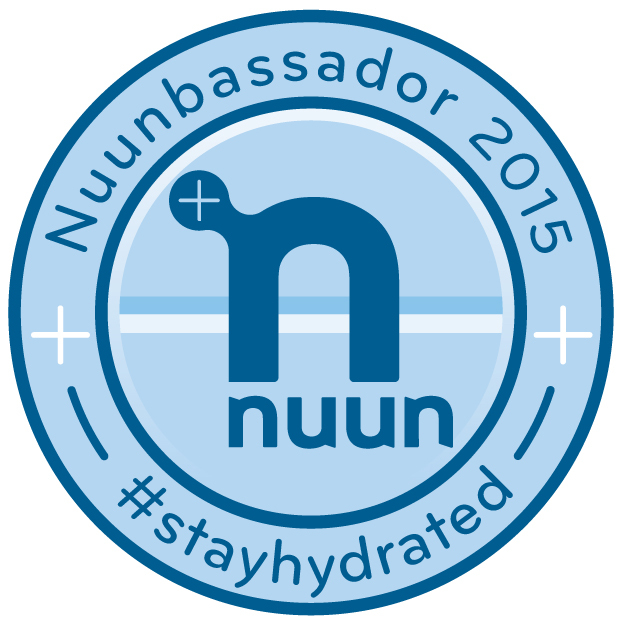 I’m having WAY too much fun to truly feel the agony of running a marathon. It was also our closest encounter ever with the dreaded “balloon ladies”…we started in corral F but stopped for a photo with just about every character along the course. Toss in a couple of potty breaks and numerous photos in front of the Cinderella’s castle, the Tree of Life, etc., and, well, let’s just say we barely beat the balloons into the Hollywood Studios gates. Even though Todd wasn’t really feeling it in those final miles, we stuck together and made it across the finish line! And then hobbled our way over to the Magic Kingdom for our FastPass+ reservation with Rapunzel (I seriously could NOT be any dorkier if I tried). I’ll be back with full recaps and lots (and lots) of photos next week! Happy weekend, everyone! 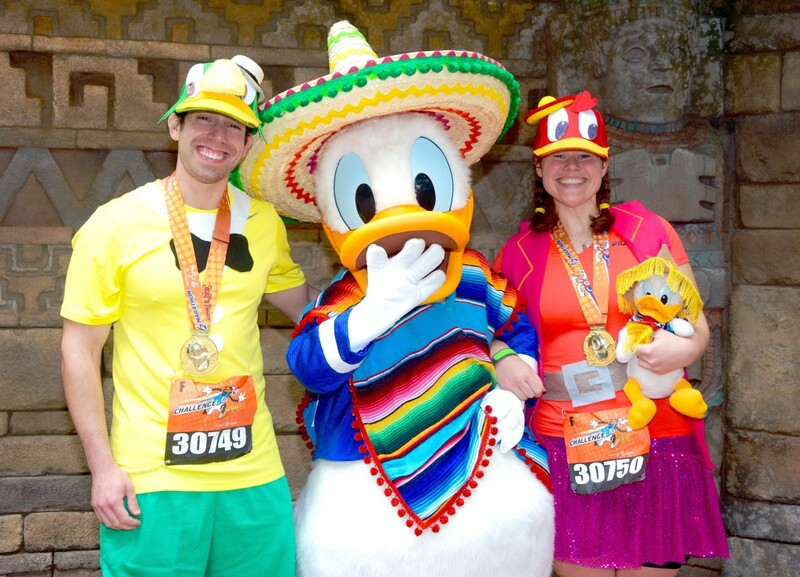 What’s your favorite part of the WDW Marathon? 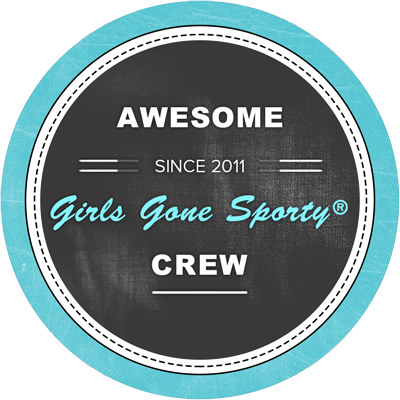 Do you have a favorite half/marathon that you run every year? Ahhhhhh!! I can’t wait for marathon weekend 2017! I’m fairly certain I’m signing up for it. Congratulations and great pictures! I should add (since you asked, lol) that my favorite part of WDW marathon was running into world showcase at Epcot. You’re almost done and the music is awesome. I’ve only run it once, but I’m hoping that will be the same the next time I run it. Marathon weekend is absolutely AMAZING, right?! Doooooo it. OMG, the Epcot part of the course is EPIC because of the music. Seriously the perfect soundtrack for the final 1-2 mies of a marathon, haha. 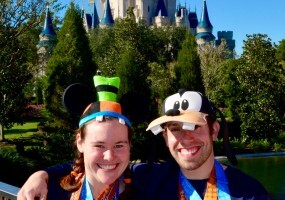 Yay for Todd’s first Goofy challenge and another marathon for you! It was great seeing you on Saturday after the half! Thanks, Meranda! I’m SO glad we finally got to meet you guys — twice! I’ll totally be stealing the pic of us from after the half if you post it, FYI…just letting you know in advance. 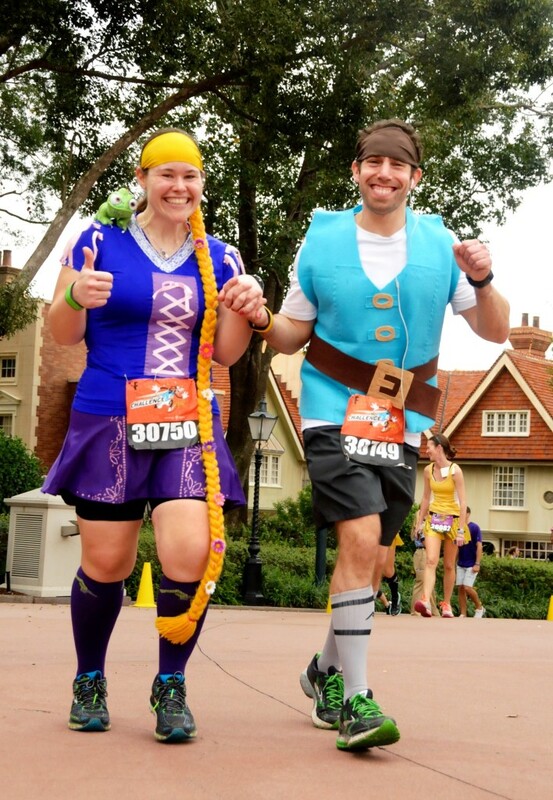 So…I definitely ran with you in the half AND saw you at Epcot later that day but I geeked out and never said Hi. The first time because…we were in the bathroom at the same time and that’s just weird. Lol. But…HI!! I ran suppppper slow and was underprepared for the race but it’s done and the bling is so worth it! Well done on your challenge!! Awwww, man!!! Definitely say “hi” next time, even in the bathroom, LOL. I always have runner’s brain during races (especially when it’s hot) and can’t think straight, anyway, lol…wouldn’t have thought anything of it. Maybe next time! But anyways, CONGRATULATIONS on the race and finishing is ALL that matters! You and Todd got some great photos during Marathon weekend. The one of you guys and Donald at the finish line is absolutely great. I’d definitely print and frame that one. Thanks so much, Kathryn! We’re both kind of obsessed with Donald (in case you couldn’t tell, lol). We have so many photo frames in this house it’s ridiculous, LOL. Thanks, Juliana! Always exciting to feel “famous” for, you know, like two seconds. 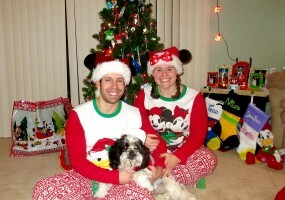 You two are adorable! 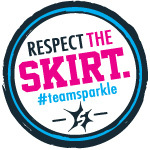 I like the Tinker Bell half and I’ll be doing my 5th year this year, but I think after that, I’ll take a break. I want to do the 50 states, and the cost of Disney races has been taking more than their fair share of the running budget. I still haven’t done Tinkerbell! 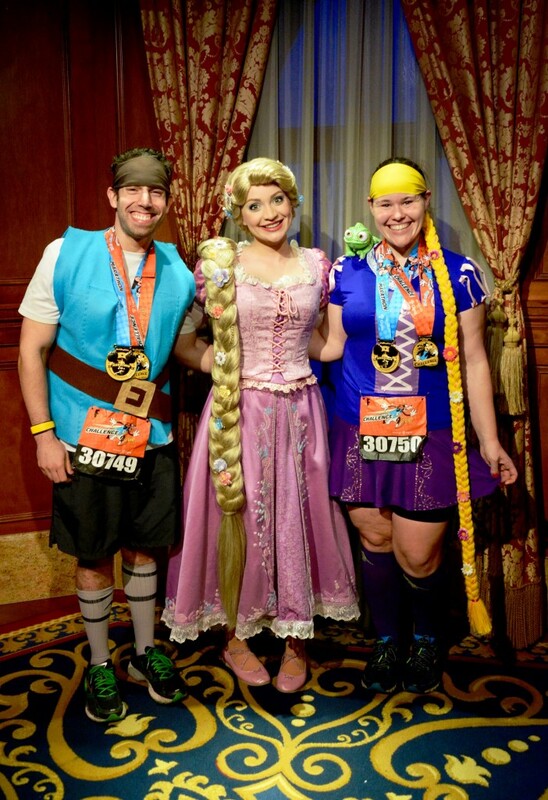 And believe me, I totally understand…it’s tough to try to run so many Disney races and then enjoy others as well. 50 States is an amazing challenge, best of luck to you! Congrats! ha love the Rapunzel hair. useful websites online. 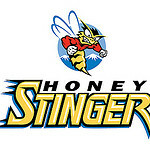 I amm going too recommend this site! This is a great tip especially to thoose new to the blogosphere. Simple but very accurate information… Thanks ffor sharing this one. your very own prolonged technique. Way cool! Some extremely valikd points! I appreciate you writing this article plus the rest of the site is really good. certification card, which will be valid for two years. to read a lot more, Please do keep up the excellent b.
I know this website provides quality dependent articles and extra information, will there be any other site which gives such things in quality? Anny help would be really appreciated! Find out which cannabis stocks are undervalued despite their gains.